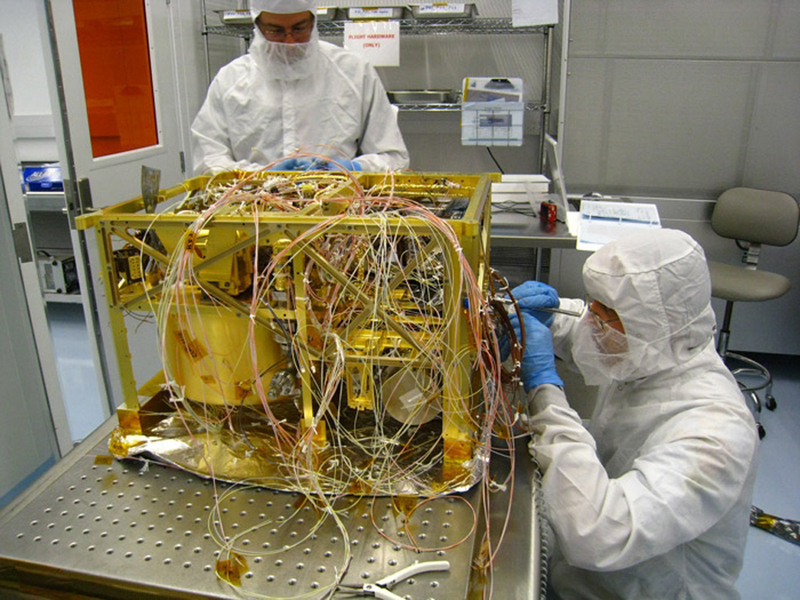 SAM is the most complex instrument ever sent on a planetary mission. 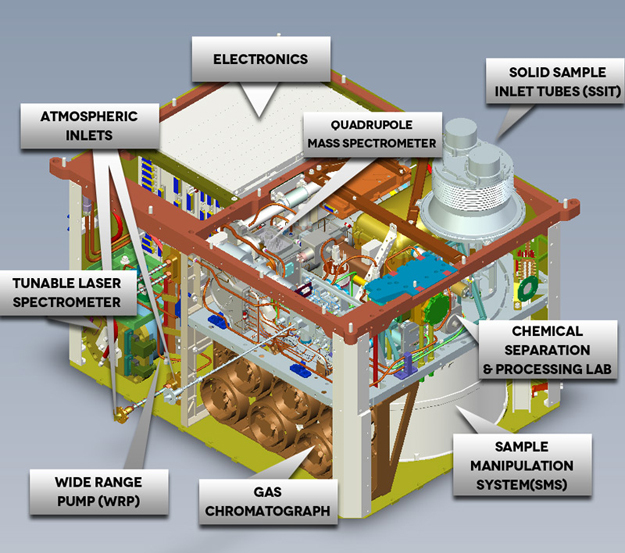 Principal Investigator Paul Mahaffy leads the project from Goddard in collaboration with 51 co-investigators and 28 institutions including the University of Paris and The French Centre National de la Recherche Scientifique that provided the Gas Chromatograph. Credit GSFC. The sample, drilled from within a mudstone type rock, was totally unexpected this early in the mission and could reveal whether this once water soaked region of Mars preserved organic carbon pertinent to past life on Mars. The Mars rover Curiosity’s complex Sample Analysis at Mars (SAM) organic chemistry instrument and the CheMin X-ray system breezed through their first analysis of the sample this week and are already underway with, or preparing for additional processing runs on the same highly unusual material. The Ames Research Center Chemistry and Mineralogy CheMin instrument in fact is designed to fire X-rays through its samples multiple times to build up imagery revealing detailed mineralogy data. Read more: CuriousMars: SAM and CheMin Ace Rock Analysis, Ready for More – SpaceRef.